My Creative Time: Favorite Stamp /Die of the Month re-visited! 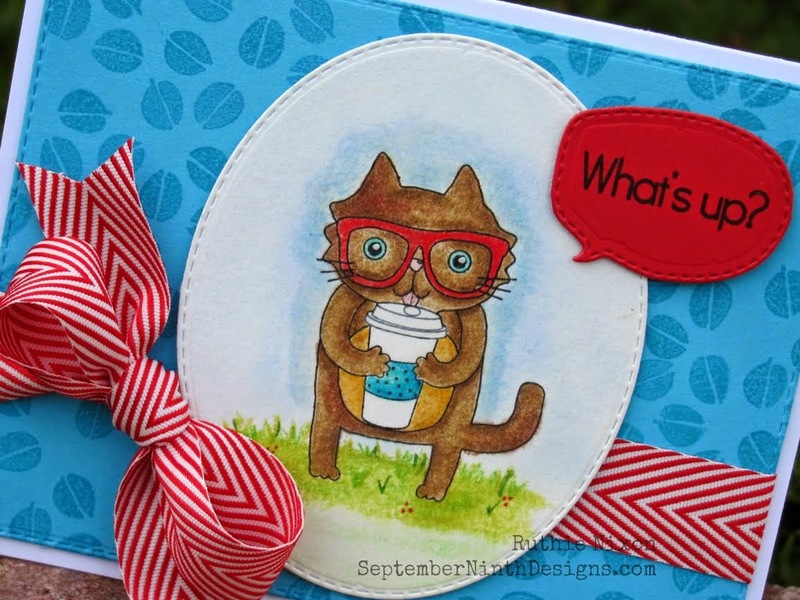 Good morning my sweet friends & welcome to another day this month featuring "My Favorite Stamp/Die of the Month!" 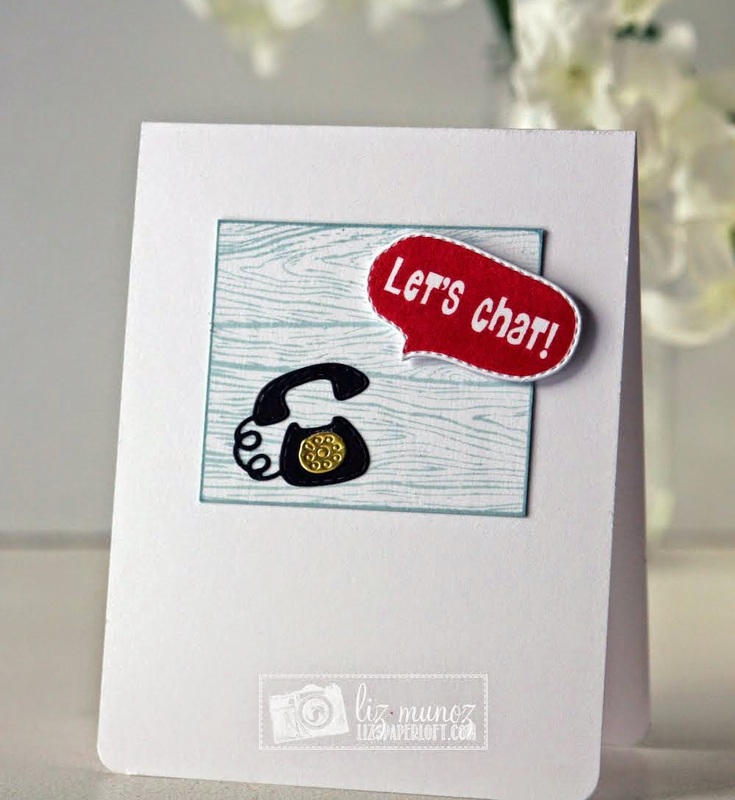 Our stamp of the month is one of my FAVE sets "Fun Speech Bubbles!". If this set has been on your wish list, you can pick this set up HERE at a discount price! This set will be on sale for the entire month of February! The marked down price will end on February 28, 2015 @ 12:00am PST! 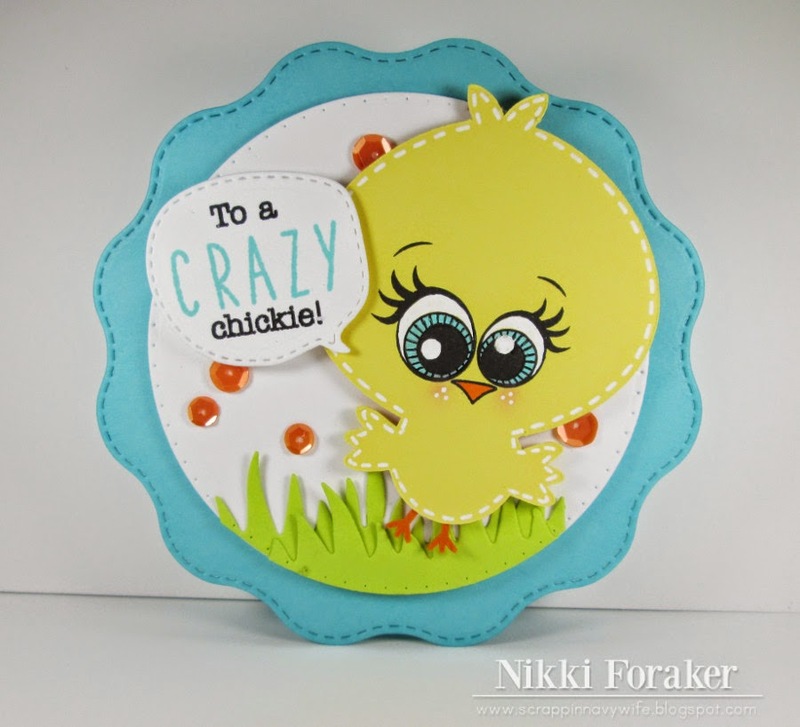 For my card today, I wanted to use my newest edition release "To a Cute Little Chickie!" I just LOVE this set & couldn't wait to use it again! 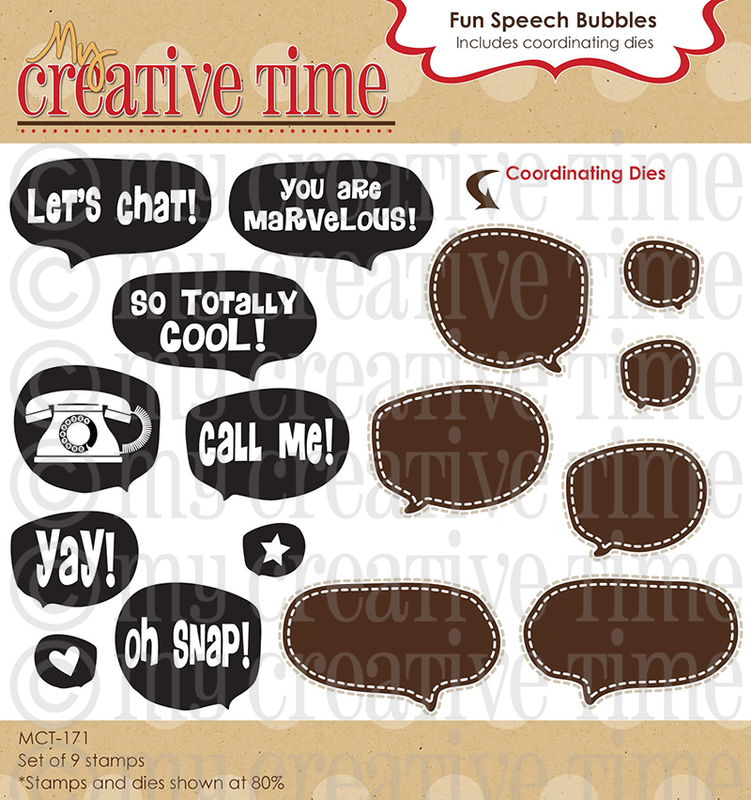 ;) I thought it would look CUTE paired up w/the Fun Speech Bubbles set! I decided to use the stamps only of this set to create my card! I stamped the speech bubbles in my new inks by Ranger & they are "Caribbean Coast" & "Wild Orchid!" Remember I had told you that RANGER INK was PROBABLY my MOST FAVE LIKE... EVER??? Well, I was SUPER EXCITED to learn that they HAVE come out with new colors!!! You can see ALL the colors HERE! OR if you would like them individually, you can find Caribbean Coast HERE & Wild Orchid HERE! I kept my card SUPER SIMPLE & just stamped the heart & star stamps onto my card & finished it off w/some Sparkling Clear sequins from Pretty Pink Posh~! Okay, now onto my FANTUBLOUS design team! ;) Click on each name to see more! If you are one of those who really wanted this set, but never gotten around to picking it up? Not only is it marked down already, but you can ALSO use the code FEB2015 to get an ADDITIONAL savings off of your entire order! You can pick up this fun set HERE! For the CODE, that sale ends this Friday, Feb 27, 2015 @11:59pm PST! Okay, now onto our LUCKY Blog Hop winner! I love giving away little treats to middle school students and I truly believe the milk carton is perfect…along with cute stamp sets. Love all your cards and projects. CONGRATS Miss Shirley! I will email you for your information momentarily! Good morning MISS Emma your card is so adorable love your little chi kids and your super clever idea of the thought bubbles with them. I truly love your thought bubble set it's so much fun. Love the colors you chose I'm going to have check out these new inks the colors are beautiful. Thanks girl for all of your cool clever & creative ideas on more ways to use all of your awesome goodies!! Hope you have a relaxing day!! YOU so ROCK!! I can never get enough of this stamp/die set! 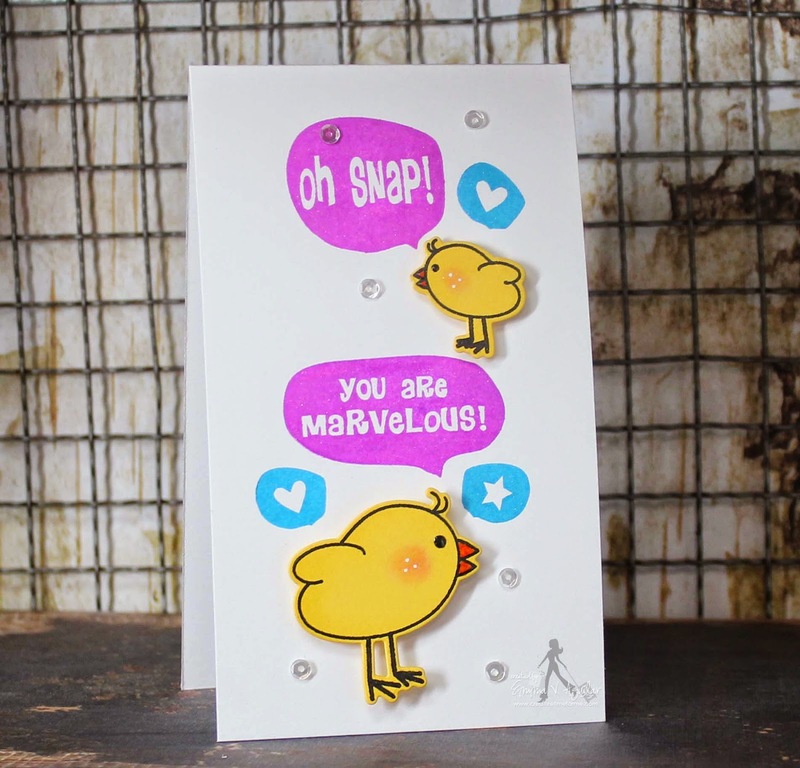 Love your chickie card! Awesome colors! Such an adorable card Emma! Those chickies are just too CUTE!!!!! Emma, your card is adorable!! The bubble set is so fun and love the sweet chickies! Congratulations to Miss Shirley! 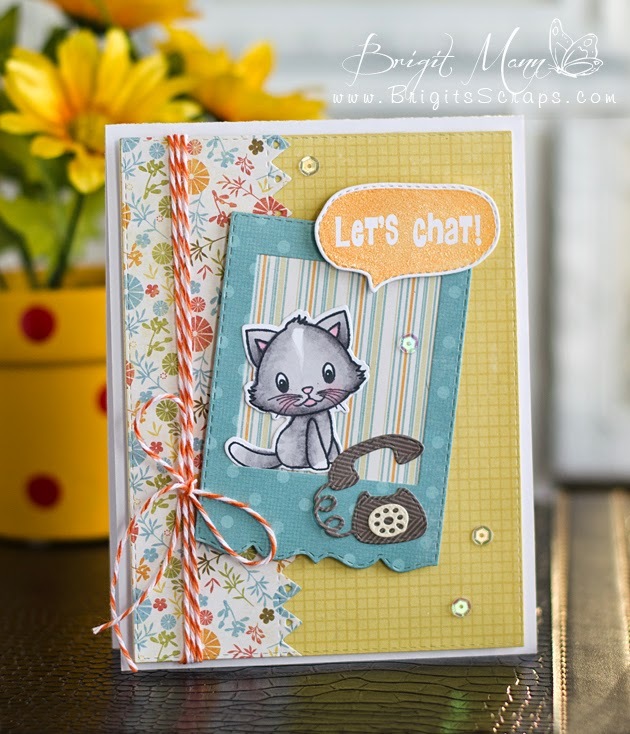 Gotta love the speech bubbles...such cute sentiments and with the alpha sets you can make custom sentiments in them. Your chicks are so cute! Love your CAS card. 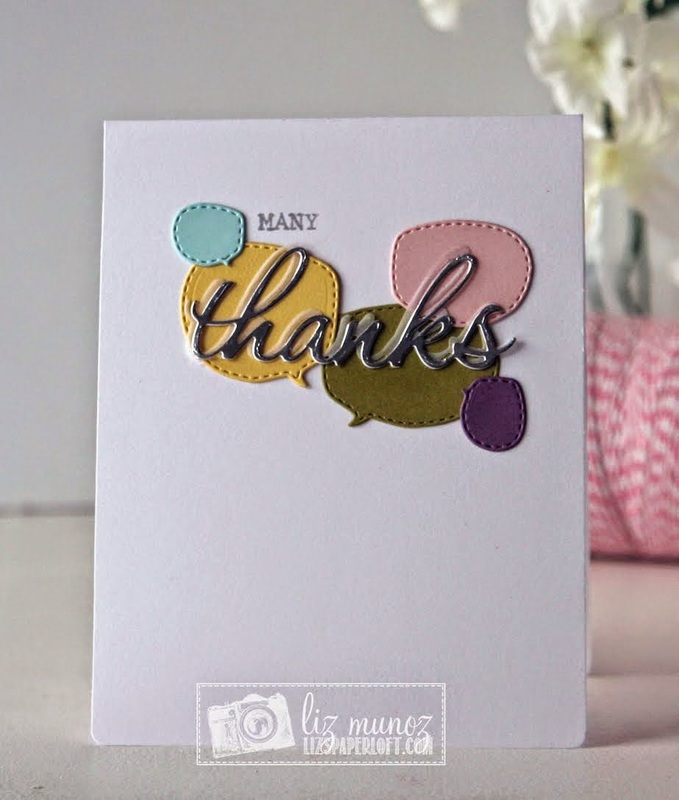 The Design Team also had some great cards using the sweet speech bubbles...some simple and some not, all cute, beautiful and so different. Super job everyone! Aww thanks for sharing your ADORABLE card. They are all adorable Miss Emma! Congrats to the winner! Emma ~ Oh my word I LOVE those bright colors! LOVE the design and layout especially against the white! I am on the hunt for them of course they are backordered! Everyone just rocked this challenge!